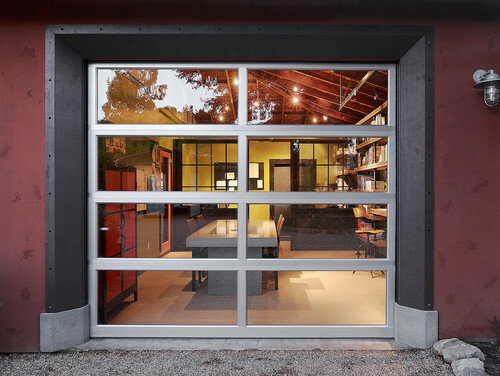 For architects and designers, setting out on your own can be a daunting prospect. 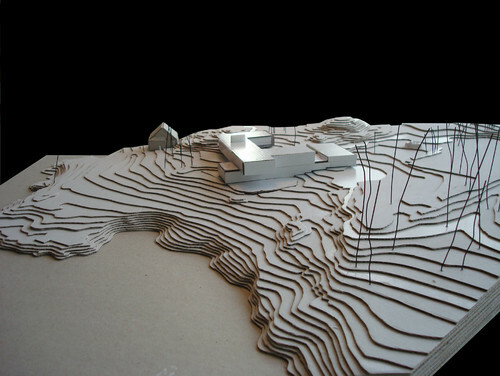 However, the route to opening an architecture or design practice is more accessible than ever. It takes surprisingly few resources to do it yourself, and maintaining a lean profile from the outset means the freedom to focus on gathering new clients and announcing your presence to the world. This is the first in a series of featured idea books meant to inspire action, to move you from the idea of opening a firm to following through and actually doing it. Each one will focus on just two sets of actions: a procedural action and a more conceptual, challenging one. The procedural tasks are generally easier, and our natural tendency is to let them take priority over the more difficult thinking tasks. It’s my hope that by tackling both side by side, you won’t be overwhelmed. Let’s start with the procedural task of figuring out how to set up a design business. Deciding how to structure your business is a key early decision. While it’s beyond the scope of this ideabook to discuss all of the legal details regarding this decision, it’s important to underscore the fact that your choice will have critical personal and financial implications — due diligence is mandatory. Begin with a basic understanding of the trajectory of your firm. Do you envision becoming the next Skidmore, Owings & Merrill, with 1,600 employees worldwide? Is it just you and a partner? It can be hard to predict where you’ll be in one year, let alone five to 10 years, but envisioning early on what success actually looks like may suggest one organizational structure over another. If you’re on the fence, choose the most basic one to start. Sole proprietorship: Many architects choose sole proprietorship as their initial business structure because it’s simple. A sole proprietorship views your personal assets and business assets (and liabilities) as one and the same. It’s meant for a single individual with no employees. In most cases you’re not required to file any legal creation paperwork with your state, and you’ll use your social security number for tax purposes. Always check with your local municipality for specific requirements. The most paperwork you’ll typically encounter will be simple, things like filing a “Doing Business As” (DBA) form along with paying a small fee. Starting a sole proprietorship is a straightforward and immediate process, but this isn’t a final decision; rather, it’s a first decision. You may decide in the future to migrate to a different structure, and that’s OK too. Partnership: If you’re not going at this all alone, then you are, by default, a legally defined entity called a partnership. It’s generally a good idea to create a partnership agreement to explicitly define the details of how you’ll be operating your firm. If you don’t create one, your state will assume each owner is an equal-share partner, and your state’s laws based on the Uniform Partnership Act will apply to the business. The decisions you’ll face in a partnership won’t differ from those you’ll confront as a sole proprietor, but you’ll want to commit them to a written (ideally legal) document to which you and your partner(s) agree. It will describe things like ownership stakes, initial investment, how to handle profits and losses, decision making, adding owners, liquidation etc. The tax implications for this business structure are similar to those of a sole proprietorship; the profits of the firm are attributed to each owner per their ownership stake. LLC/LLP and corporations: Limited liability corporations (LLCs) and limited liability partnerships (LLPs) have differing sets of requirements, governing regulations and fees, and they all treat business assets much differently than both sole proprietor and partnership structures. Despite their differences, LLCs, LLPs and corporations all offer increased protections to both the individual and the business. Many sole proprietors transition to these entities as their workload and exposure to risk increase. That enhanced protection does have a cost: a lot more up-front paperwork. For a few hundred dollars, sites like LegalZoom can help you process the myriad forms necessary and get you moving forward on this path. All of these options require in-depth analysis and possibly a consultation with legal counsel to determine the best fit for your business. To take action: Select a business structure and file the necessary paperwork. Along with the structural decision, you should also check with your state and local licensing entities and secure any necessary permits or licenses to practice. Having a professional license isn’t a requirement to practice single-family residential architecture in most states. However, if you’re not licensed, you need to know the rules that govern your area before getting started. If you’re on the path to licensure but not licensed yet, you might consider partnering with another firm in your area as a way of building credibility and experience in a particular niche. Annual license renewal fees and the cost of NCARB (National Council of Architectural Registration Board) record keeping can total in the hundreds of dollars per year, depending on where you live. When you set out on your own, these are tracked as business expenses. When it’s time to pay your taxes — which, by the way, will be quarterly — you’ll account for them in your financial statement. Insurance: Keep in mind that depending on the type of work you’ll be pursuing, where you’ll be practicing, your business structure and specific client needs, you may be required to purchase insurance. Insurance is always a good idea if you can afford it — to cover not only errors and omissions but liability and your health. All of this will be weighed against your cash flow early on. Following a lean start-up, model requires that you assume risk, especially in the start-up stage. To take action: Research your local business licensing, filing and insurance requirements and fees. Account for these in an initial start-up budget. On to the more exciting, right-brained, creative tasks. In contrast to the work of defining your business structure, defining your brand is a much more mentally challenging exercise. When I say “brand,” I’m not talking about what your logo or your letterhead or your business cards look like — although those are parts of it. I really mean, what does your business stand for? This part comes even before you name your firm. What would be the tagline of your website or book? What’s the story you’re trying to tell? Take my practice, 30X40 Design Workshop, for example. I love barns. My work draws inspiration from the humble agricultural and industrial structures — barns, sheds, farmhouses — that populate rural America. I love their simple shapes and their narrative qualities and how clearly they describe what was important to their creators so visibly through their architecture. The name 30X40 is drawn from the classic dimensions of the New England threshing barn — 30 feet by 40 feet. The size and interior layout correlated with the proportion of a team of oxen; the center bay allowed the farmer to load the barn with hay by driving his wagon through the large doors and provided a central workspace. While that’s the origin of the brand name, the more important subtext is that the name begs the question, “Why 30X40?” Which then inspires the telling of a story, about place, structure, and ideas. It’s precisely this process of digging deeper and the telling of stories latent in people and places that’s the broader goal of my work as an architect. For me, this story was a starting point and the place to begin building my brand. When defining your brand, conceptually speaking, you’re acting as both the client and the architect. You get to decide where you’re going to build (your niche), and then you’ll decide what it will look like (your brand). What will set your business apart? Why start your own firm in the first place? What do you bring to the table that no one else can? What’s uniquely you? One part of you might answer, “That’s easy. I’m an extremely gifted designer.” You are. But the world is full of talented designers; don’t fool yourself into thinking that’s going to be the differentiator. Yes, people care about design, probably more than ever, but really what people want in an architect is someone who is going to creatively solve their problems. You’ll be judged on how well clients think you’ll be able to solve their very personal needs, not on how well composed your portfolio looks. Sure, you need a strong portfolio that opens the door, but it’s your ability to communicate to clients that you care about their problems and can capably offer solutions to meet their immediate needs that really matters. For many the branding begins by picturing an ideal client. How does your firm specifically cater to the needs of that client? Whose problem does your business solve? Don’t be a generalist. Be specific. Thinking you’re able to solve everyone’s problems is a shortcut to solving no one’s problems. Do you have experience in historic renovations? Brownfield development? Think about benefits, not features. If you’re still stuck, try researching the companies you admire with a strong brand and note the characteristics of their brand that you’d most like to emulate. If you’re still struggling, ask those around you about the qualities they most associate with you. Ask for specifics. You should see a theme emerging. Try to build on that. It’s important to understand that everything you do contributes toward the building of your brand. Your brand precedes you. Recognize this even in simple daily tasks — sending an email, how you word your contract or the About page on your website, and of course posting to social media. Your brand speaks for you when you’re not there. It’s a powerful partner in delivering your message. A brand takes time to establish. Remember that even the big brands, the Apples, and Coca-Colas of the world, started where you are today. Brands evolve over time. Little steps can divide the larger task into manageable portions. To take action: Begin defining your brand. Develop an ideal client and a tagline, and make sure your online presence is telling your story. 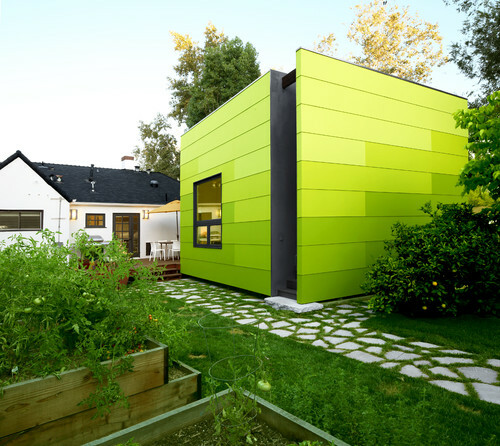 If you haven’t done so already, start today by looking at your Houzz profile. Does it show off the work you do well? It’s speaking on your behalf to prospective clients meeting you for the first time. Is it saying the things you want it to? Never forget that you’re an architect, and creative problem solving is at the heart of what you do best. Put that to use in crafting a brand that uniquely speaks to what you do well. Then get to work on that logo of yours. 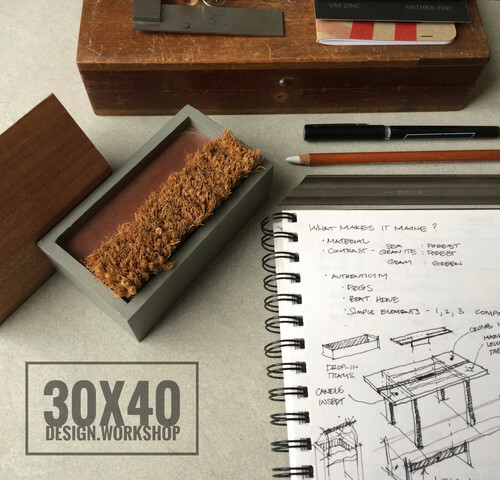 This is a guest article by Eric Reinholdt of 30X40 Design Workshop and Houzz. What is Cloud Marketing and How Can It Help Keep Costs Down?